Posted October 25th, 2016 by James May & filed under Ideas, Math, Technology. 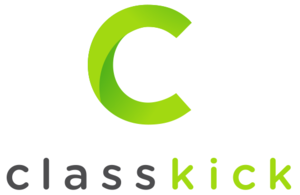 Classkick is a learning platform that allows students to do their work and get help right when they need it most. This new tool can be used in the classroom to help monitor and differentiate instruction; it can be used for First 5 activities or Exit Tickets; It can be embedded into online learning management tools to make learning interactive as homework or for office hours; it can be used in math labs and language labs and well, we have just started to scratch the surface. Basically, teachers/tutors/lab staff create, assign, and give feedback on paperless assignments. Students have the ability to work at their own pace and receive help immediately from their teacher/tutor and other students (provided others are online at the same time). Students can also privately raise a hand to request help (This would be a great feature for labs). This tool is currently free for teachers, and all work and feedback get saved. Students also don’t need to create an account to use the app. So far, I have tested the app on my smart phone, my laptop, my desktop, my tablets, on Chromebooks, and even on my twin sons’ Kindle Fires. The tool is definitely agnostic to devices. It has also been intuitive and easy to learn. I am looking forward to testing it out with my students. How might you use Classkick? Click here for the teacher guide. Would you like to try it out? Click here and use this class code.